Researchers are required to justify their use of animals in medical studies, with the goal of minimizing animal suffering. However, during our investigation, LCA documented a shocking violation of this principle. In one instance, a dermal study designed to test a gel or ingredient intended to be applied topically to human skin involved rubbing a substance on the skin of mini pigs to test how the pigs’ skin would react. When it became apparent that the substance was causing a severe degree of burning and irritation to the animals, technicians asked for the study to be stopped and the veterinarian and management agreed. 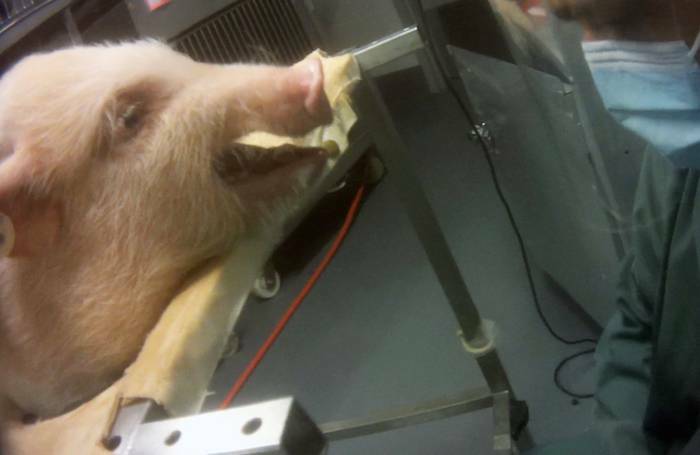 However, the study sponsor was unwilling to stop the tests and instead instructed management to change the parameters of the study and to force feed the substance to the pigs. 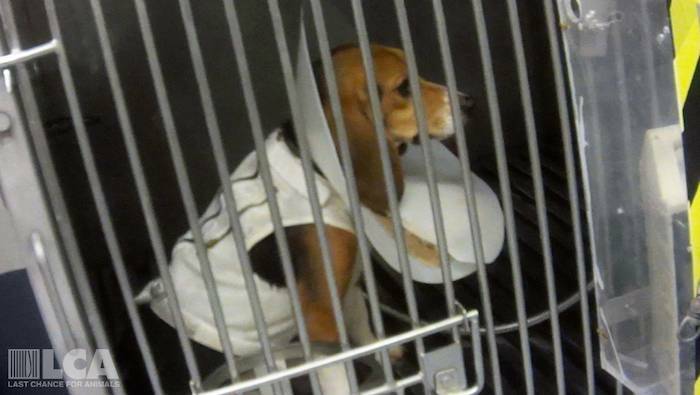 Multiple animals were put through the distress of having a tube forced down their throats, and a foreign substance injected into their stomachs for a study that could not possibly produce any relevant or usable results. The disturbing callousness of ITR management in allowing this treatment to occur violates the most basic ethical standards to which medical researchers are expected and required to adhere. LCA has filed official complaints with Le ministère de l'Agriculture, des Pêcheries et de l'Alimentation (MAPAQ), Le ministère des Forêts, de la Faune et des Parcs (MFFP), Ministère de l'Énergie et des Ressources naturelles (MERN). These ministries are responsible for enforcing violations of the Animal Welfare and Safety Act (CQLR c. B-3.1), the Regulation Respecting theSafety and Welfare of Cats and Dogs (CQLR P-42, r.10.1), the Act Respecting the Conservation and Development of Wildlife (CQLR c. C-61.1) and the Regulations Respecting Wildlife in Captivity (CQLR C-61.1, r. 5). “After viewing this video, it is my professional assessment that the monkey wearing the red collar is of extreme concern; her situation must be addressed to alleviate her suffering. 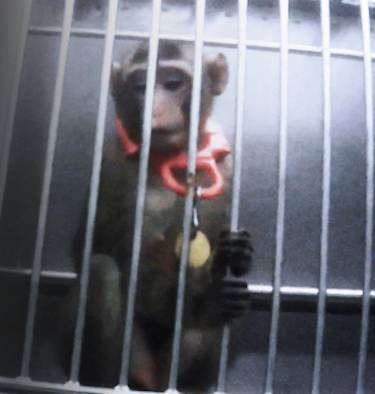 I also believe that many of the other monkeys are at risk of developing behavioral pathologies and suffering from the techniques used at this facility.